Guest blog by MHI member company Atlatl, Inc. In today’s world, visuals have become an essential part of all operations throughout all industries. Consumers have begun to expect any process to be seamless and immediate and visuals help accomplish this. One company that efficiently utilizes visuals is Waze. Waze is a leader in the car navigational industry and an app I personally use exclusively when traveling. Why? Because their user experience is unmatched. The power of Waze is in your hand. By simply driving with Waze opened on your device, you share real-time traffic and road condition information. Users are able to constantly share with the community traffic reports, accidents, police, detours, weather conditions, and much more. All of this data allows Waze to provide users with the most optimal travel route. Waze provides a simple and intuitive user experience. The streets that are needed are blown up. Traffic flows are color coded. 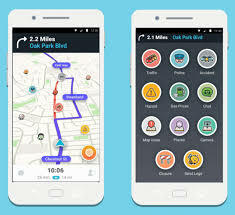 Waze incorporates emoji-like (which even our grandparents use) figures to show other Waze drivers, police, or even road hazards. Waze has the right idea. Visuals simplify complicated technology, making its app attractive to all levels of tech users. This is what consumers are demanding when choosing one business/application over the other. In the digital world, it is an easy ask, “What will be the easiest for our users?” The answer is almost always one that involves visuals. What is next for Waze? Augmented Reality. Waze already utilizes navigation in real-time, but how helpful would it be for drivers to take advantage of navigation in real space? AR in cars is not only convenient, but will allow users to keep their eyes on the road.